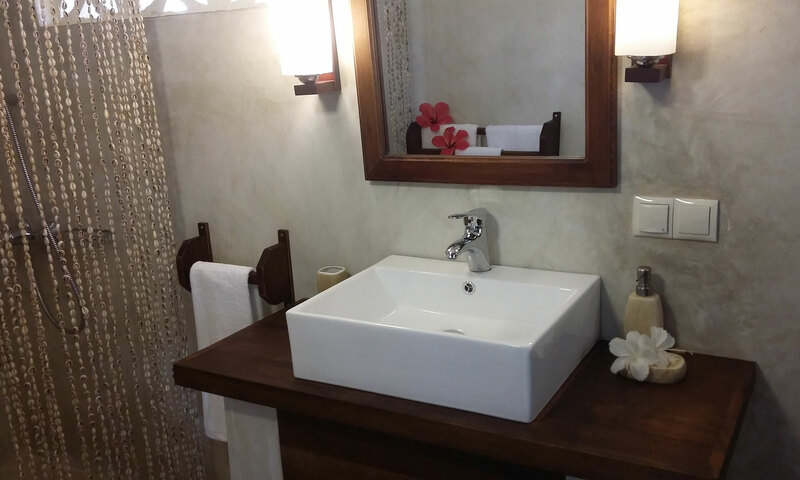 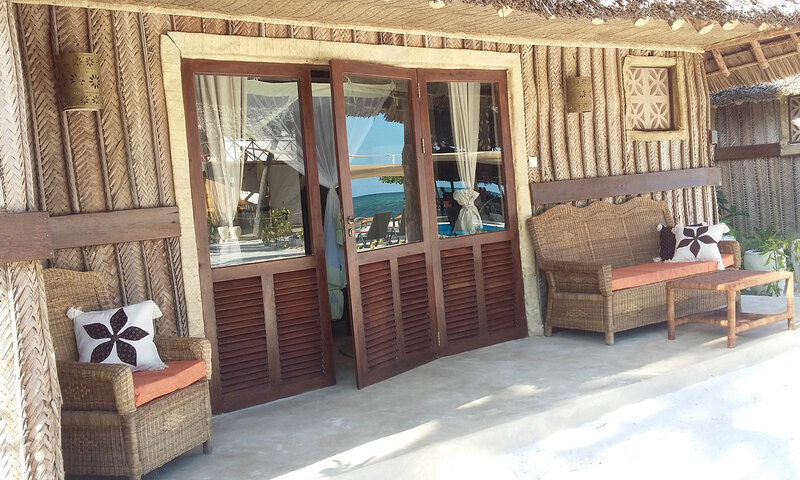 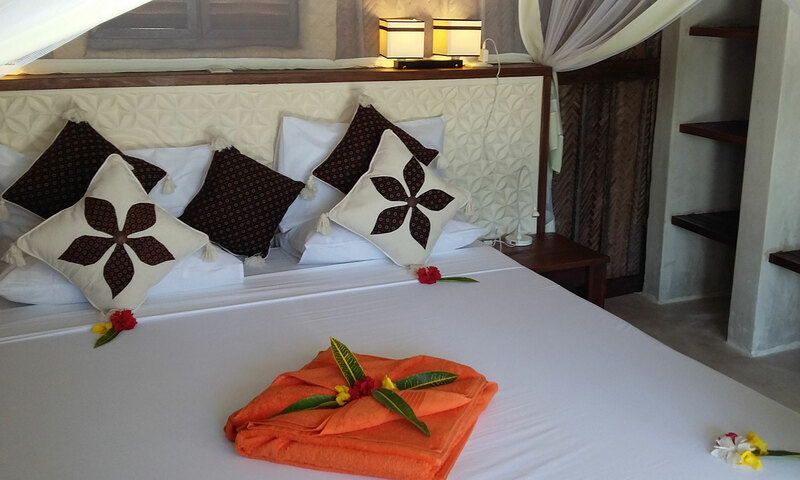 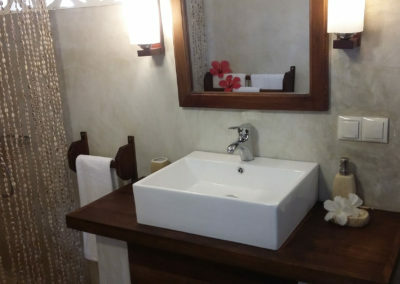 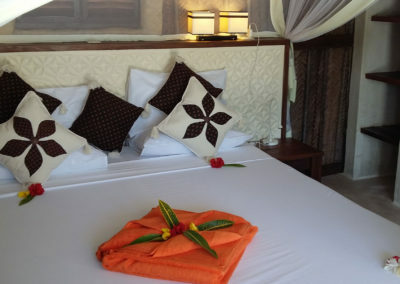 The seaview bungalow is 42 square meters in size and can accommodate up to 3 people- the option of one extra bed only, being double or twin – depends on request. 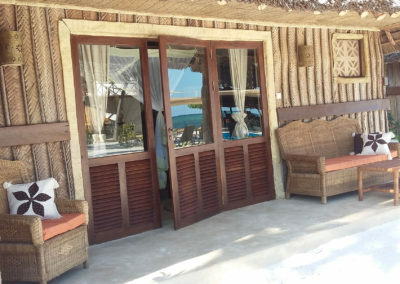 Its large veranda is equiped with comfy outdoor furniture. 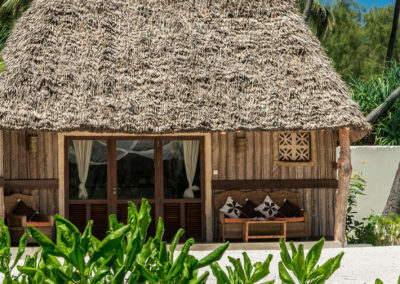 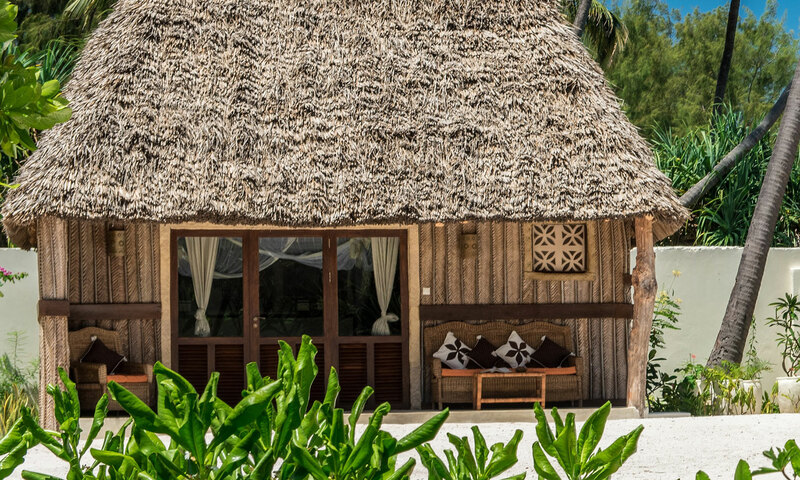 The bungalow is made of traditional local materials like palm leaves and mangrove poles.